With a $6.04 billion budget, the Federal Bureau of Investigation (FBI) is a law enforcement and domestic intelligence agency charged with protecting and defending the U.S. against terrorist and foreign intelligence threats and enforcing the criminal laws of the United States. Headquartered in Washington D.C., the FBI’s core investigative and intelligence work is accomplished in its 56 field offices and 400 satellite offices across the nation. The FBI also has 60 international offices. The FBI maintains a database of current job postings. Job seekers can receive notification of FBI vacancies that match their interests and geographic preferences. Given the FBI’s unique security requirements and the length of the background investigation process, it is best to apply at least six to nine months, or more, before you plan to begin employment with the FBI. All FBI employees must be United States citizens and must undergo an FBI background investigation and receive an FBI security clearance. According to the FBI, most “white-collar” personnel with the organization are paid according to the U.S. Government’s General Schedule (GS). The GS scale consists of 15 job grades (with 15 being the highest) and each grade has ten steps (with ten being the highest). 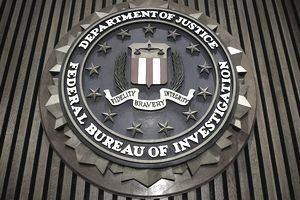 FBI “blue-collar” personnel are paid according to the U.S. Government’s Federal Wage System (FWS), a uniform pay-setting system that covers Federal blue-collar employees who are paid by the hour. Full-time FBI employees receive excellent benefits, including health insurance benefits, life insurance benefits, retirement benefits, time-off benefits, and more.